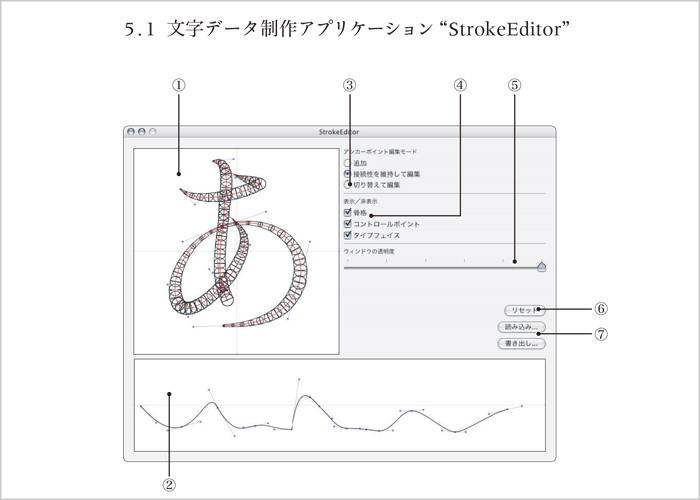 Today, Improvement in quality of both computer software and hardware made DTP (desktop publishing) as computer-aided printing technology popular in printing industry in Japan. Printing history shows that, changes in the printing technology give rise to a new typography. 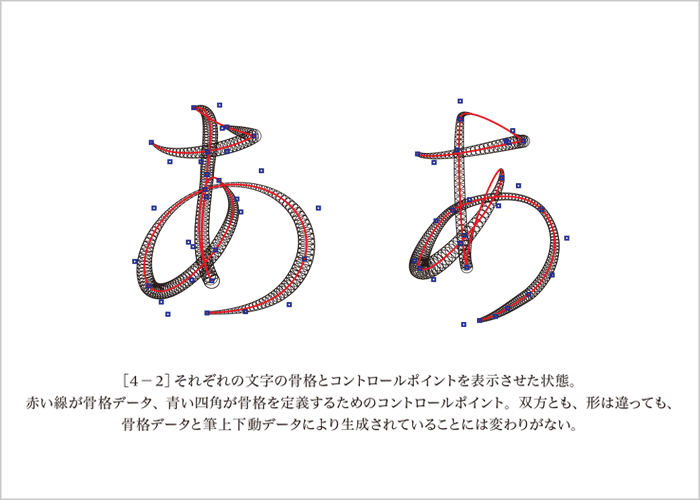 After the time of letterpress or phototypesetting, in these years DTP spreads throughout printing industry, it have the ability to create new typographic expression. 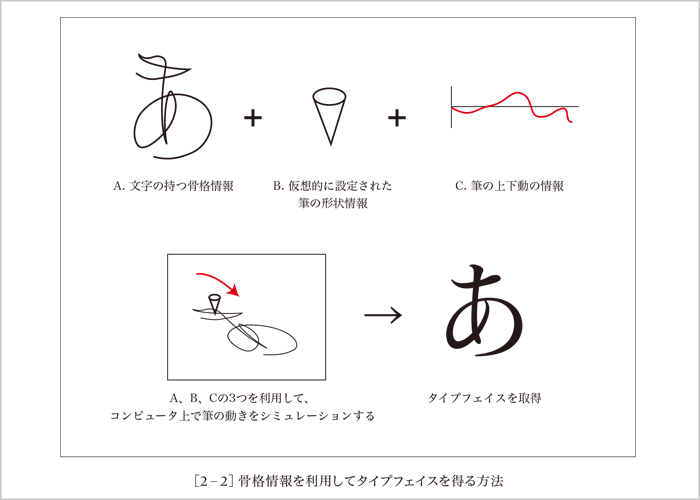 The handwriting character written by the Japanese brush has various expressions. 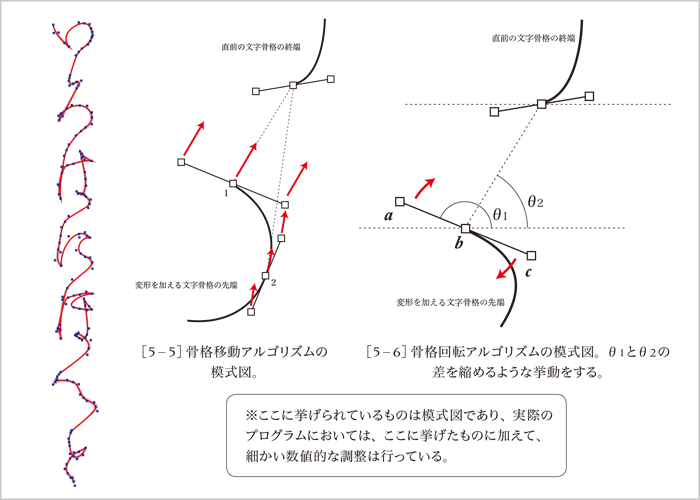 For example, a repetition of gently-sloping size, the natural-connection by the slash on either side, etc. 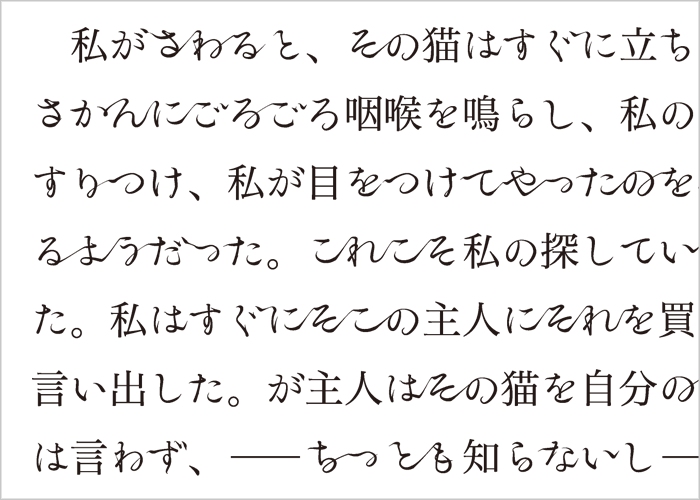 However, when letterpress printing was introduced in Japan, such character expression was lost in the print media for mainly the economical reason. 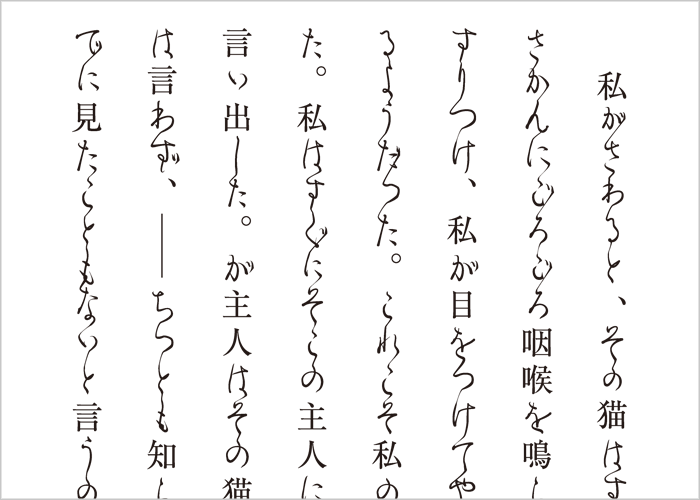 In this study, I aim to introduce the expression element which handwriting character originally has into the typeface of the print media by using computer. 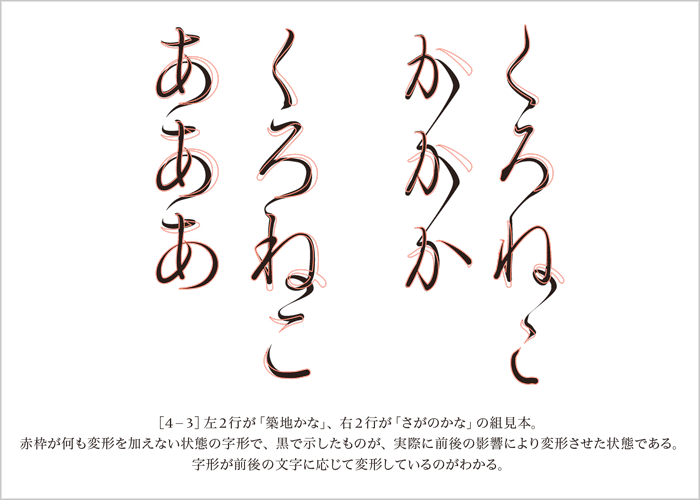 In particular, the new KANA style of handwriting by which a typeface generated dinamically at the same time it puts a character in order with the stroke data on a character and the up-and-down motion data of an virtual brush. 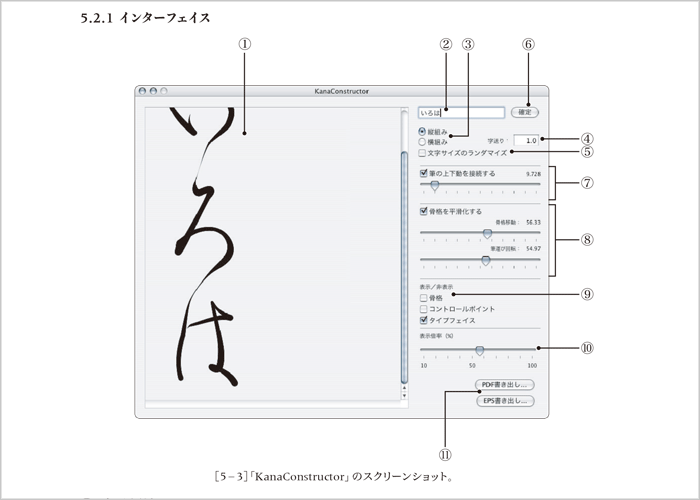 By this method, a form changes depending on an order relation and expression of the kana character which has a peculiar form with the position in a text is attained.